So far, all of the places I've written about for Charleston Chowdown have been places referred to me by coworkers or friends. 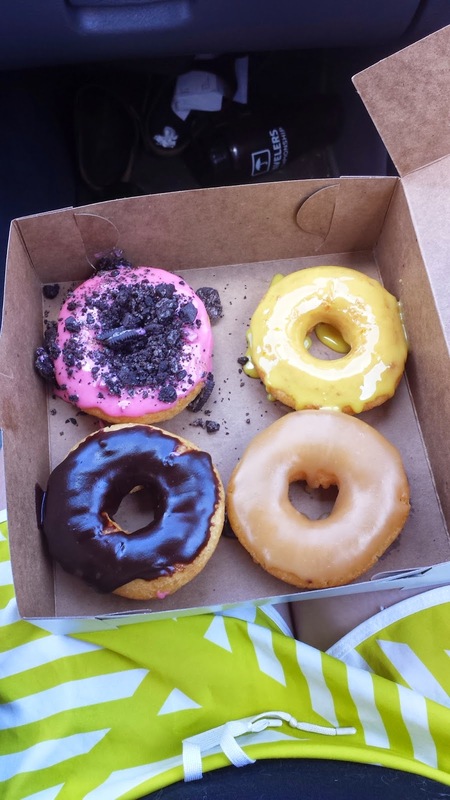 Well, today I'm featuring my very first find: Charleston Donuts! And yes, of course, it's a donut shop... but not just any donut shop. 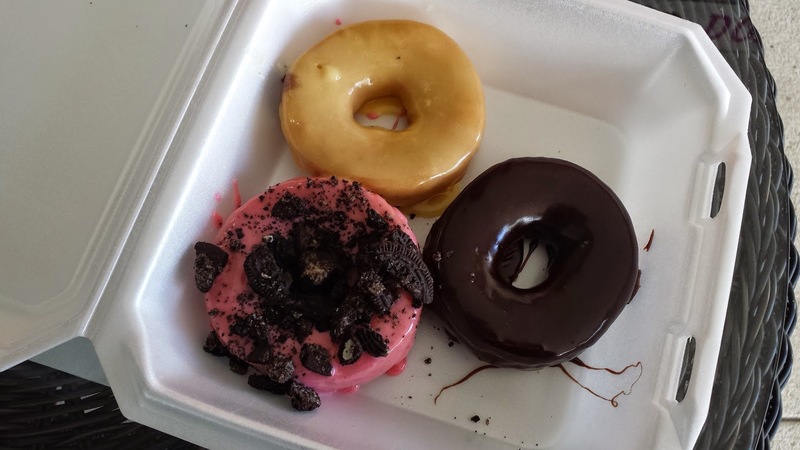 These are the freshest donuts you will ever eat in your life. They are fried each and every hour and are always warm. On top of that, each donut isn't glazed or topped until you order it. 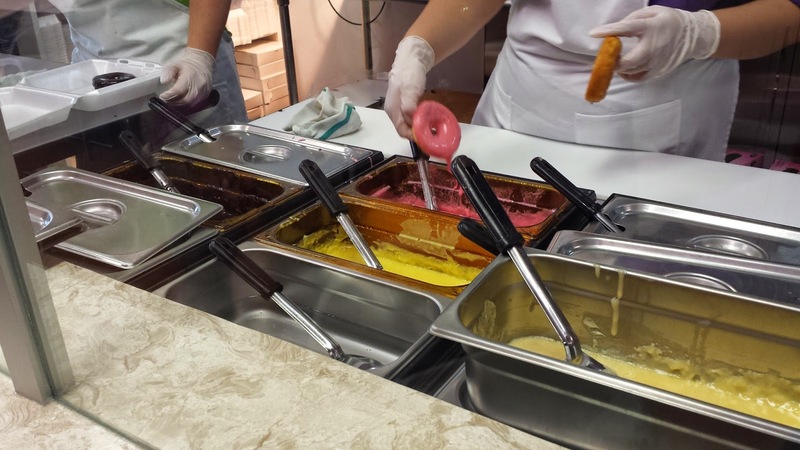 They have 10 different glazes and over 15 toppings. We've been there a couple of times now, and if you are ever over in Mount Pleasant, you NEED to give it a try. To me, weekend mornings mean errands and going out to breakfast, so do yourself a favor and head over there this weekend. You will not be sorry! My favorite is definitely that strawberry with Oreo... don't knock it until you try it! I wish I had known about this when we were there last year. Those look amazing! Yum!! We are having donuts this morning, it's a must haha. So awesome that they glaze them when you order and not sit out. I am a basic donut person... I think I'd be so overwhelmed in a place like that... or die for sugar overload. I'm not a huge donut fan but one of the kiddos brought them in for their birthday treat and the smell is out of this world! I AM GOING SATURDAY!!!!! How did I not know about this!!!! YUM! 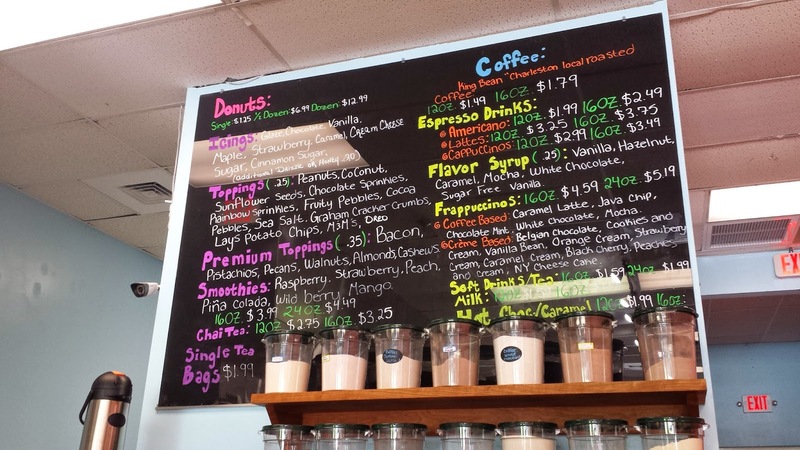 Finding a new donut shop is always a good idea! YUMMMMM! 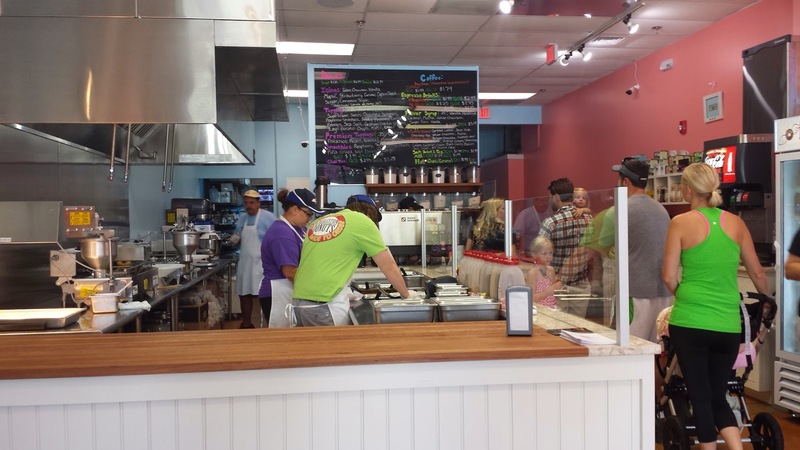 When I was pregnant and on vacation last summer in NC we found this amazing donut shop. They had the best glazed croissant/donut. We stopped 3 times in one week and brought some home. Probably why it's been so hard to lose all this baby weight, lol.